www.minimal.bike is one of the nominees of the Bicycle Innovation Awards 2017! 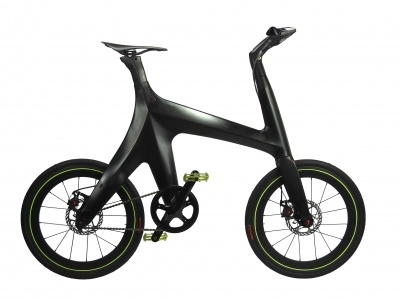 "M5: Minimal Bike is an ultra lightweight bicycle (6.7 kg), in which carbon is the primary material. The bike is designed according to an integrated approach. By optimal integration of components the bicycle is characterized by a minimalistic design." Together with five other participants, Minimal.bike is now in the race for the Bicycle Innovation Award 2017! 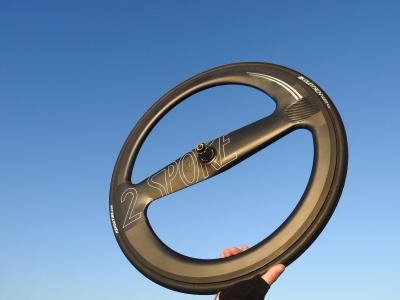 New sponsorship between 2-SPOKE and multiple Dutch Time Trial Champion Remco Grasman. 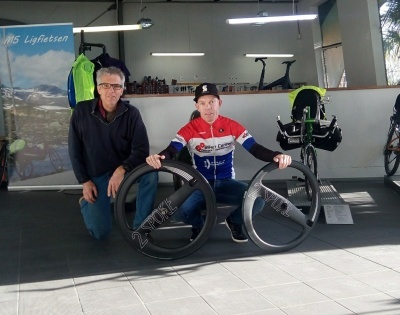 Last week Bram Moens officially presented the new 2-SPOKE wheel set to multiple Dutch time trial champion Remco Grasman. Remco is a renowned cyclist who delivers as much as 375 watts of continuous endurance! In direct competition with professional riders Remco repeatedly left pros behind.... That's one of the reasons to support him as a elite rider without a contract! Remco will use these fastest wheels in the world in the coming 2017 competition. During the Engineers day in Evoluon (Eindhoven, the Netherlands) Bram Moens received the Award for Designer of the year 2016. On behalf of the monthly magazine "Constructeur" Robin Zander handed over the award as token of appreciation of M5's recent innovations like the carbon handbike of Paralympic champion Jetze Plat, the 2-SPOKE wheel (gold and silver medals) en the new, iconic citybike MINIMAL.BIKE. The engineers day is an annual event filled with inspiration and leading speakers, designers, research & development teams, etc. This time not a recumbent, but certainly an attractive project! To keep the mind clear it's necessary to do something outside the daily proceedings. In this particular case it's still about bicycles, but this time you're going in an upright position against the wind. After several sketches, soon a basic shape was determined and subsequently 1:1 AutoCad drawings, cardboard shapes and real wooden 1:1 models were made. It is imperative to actually feel the frame in your hands instead of only seeing it on a screen as a flattened 3-D model, particularly because the frame will be manufactured in expensive steel moulds. Apart from the frame and the front fork I also made several wooden handlebars with air-foil shape, which resulted in two carbon production versions. One with integrated handlebars and thumb notches and the other with cylindrical carbon tube ends which allow assembly of standard shifters and brake levers. 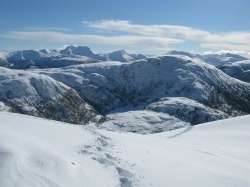 One of the main goals was to adjoin all parts as much as possible. So, no carbon frame from the year 2100 with an old fashioned pre-1900 looking (aluminium or steel!) saddle or handlebar stem just because these are available readily. Seen plenty of those. Also no ugly clamps around saddle or handlebar stem (hidden inside the frame instead). Due to the special properties of carbon and especially the super fabric of Toray 800/1000 it was even possible to abandon the standard triangular frame shape and make the absolute most of freedom of form. Finally, a special thanks to Bob Vroegh from Bob Lab for the 3D Solid Works contribution! Two golden, one silver and one bronze medal on Rio Paralympics with M5 2-SPOKE wheel! M5 2-SPOKE wheels are used by the worlds fastest professional bicyclists and hand-bikers. Among them the current Olympic and world champion Triathlon 2016 Jetze Plat and many more professional cyclists like world champion and two times Olympic Gold medalist Alyda Norbruis (Rio 2016). 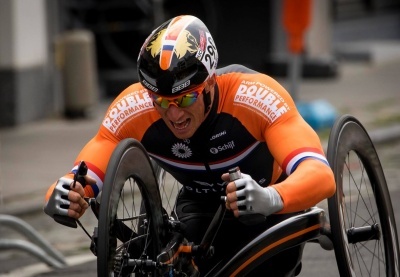 Also the TEAM.NL tandem with Vincent ter Schure and Timo Fransen have used the 2-SPOKE in the 20 km time trial with a silver medal as result. Especially the use of the wheel in the tandem proves the strength of the wheel. Did you ever managed to reach 58 km/36 mph in a short sprint? Excellent! But in this case, it was one whole hour... However: to reach 57.6 average you need to perform an almost constant 58 km/h to compensate the start. No one before cycled that fast as Matthias this afternoon on the track in Frankfurt. Even the unofficial 20-year-old hour record (56.375 km) from Chris Boardman is improved by as much as 1.225 km. That's almost five whole laps! New world hour record for M5! Image: DropLimitsAfter several test sessions Matthias improved the 2011 one-hour record to a staggering 56,150 kilometres. 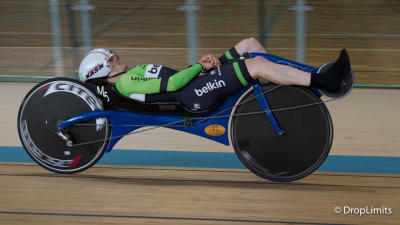 His successful attempt in Buttgen was performed on the specially build M5 MOEKOKKEN recumbent, an ultra reclined Carbon Low Racer. This bike was build in a rush by Bram in 2011, because by then time was pressing already, Bram being 55 years old. In October 2011 a first attempt was done in Apeldoorn, but it didn't take long to realise that the special position on the bike took more time to adjust than the mere four weeks prior. Last year Matthias Konig contacted M5 with the question if he could borrow the bike for a record attempt, a request which was granted happily. The most amazing aspect of this record is the extremely low energy requirement of this bike, just above 300 Watt! For comparison: twee weeks ago I was present at wheel tests at a velodrome and an Olympic racing cyclist had to generate 360 Watt on a time trial bike just to get to 46 km/h. Matthias is capable to produce 350 to 360 Watt during an hour, provided he's adapted enough. So, there's more to come! 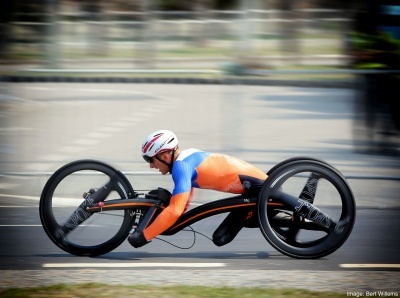 Image: Tom Skulander It was the ultimate challenge for Jetze: beating Zanardi, highly admired by Jetze and his fellow athletes. Last year Jetze rode minutes behind him and others during time trials. Now Jetze took the lead and was racing alone in front! The speed difference with last year is around 3 to 4 kilometres. On the one hand this is the result of the much lower weight (reduced by 4.5 kg), but especially by the fact that I have minimized the dimensions of the frame, making it as tight as possible, constructing the frame tubes close around him. The enormous aluminium tray on his previous aluminium bike was realy a wind catcher. 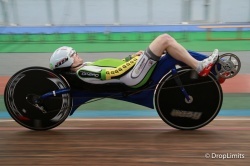 On the new carbon M5 Handbike there's no tray at all saving surface area and reducing a lot of turbulence. Lastly, some nice gimmicks were added, like special carbon aerocranks. After all, these are a lot longer on a handbike and exposed to the wind. On the stretches with a little tailwind Jetze was able to keep his speed around 56 km per hour. Arm power only! Jetze currently delivers around 290 Watt. That's pretty close to what I have left now in my legs... When riding my world record in 1994, I generated an average of 333 Watt, which has by now, 22 years later, close to my 60th birthday, dropped to approximately 300 Watt.